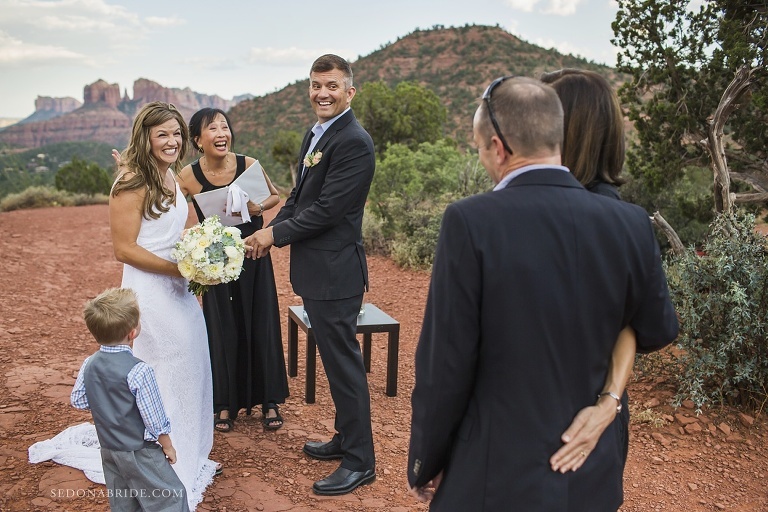 This was such a sweet end to such a fun Sedona Elopement with Intimate Sedona Weddings! Suzanne came to us with a wonderful weekday elopement, and these three are such a sweet sweet family! It was one hour of coverage, which is short and sweet, but also so personal and full of meaningful moments. 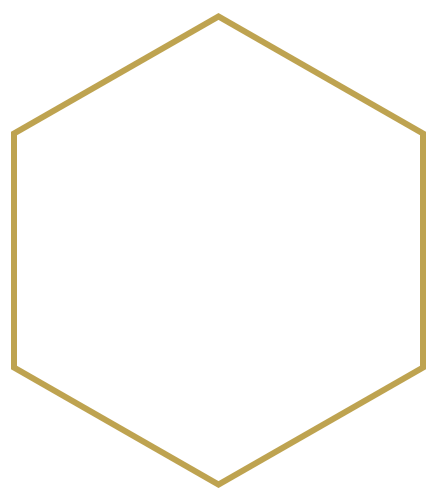 Suzanne Loo McCoy is a master of creating a beautiful, customized, and personal wedding ceremony. Her enthusiasm and love radiate and brings out the laughs, the crying, and the sweetest of moments. 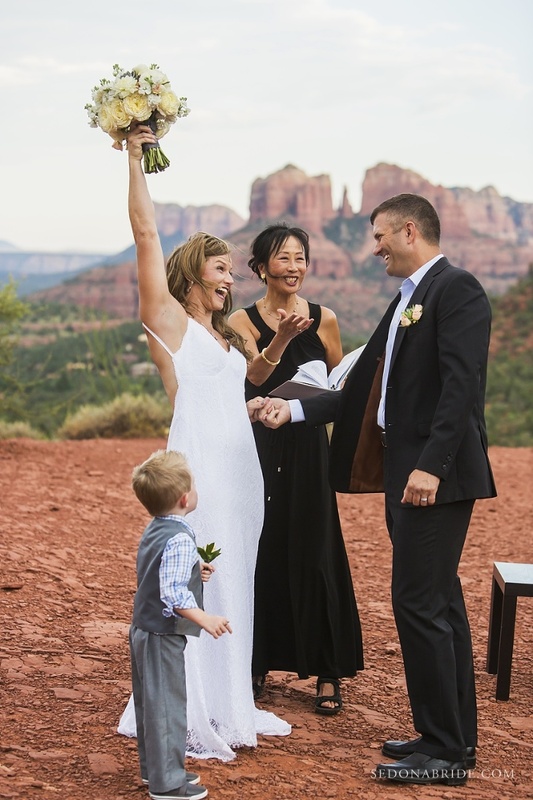 Aimee and Ernest selected the Knoll for their Sedona elopement, which is along the way to Red Rock Crossing and is accessed from West Sedona. Because the wedding took place on a Thursday, we only saw a few other people and it ended up being very private. 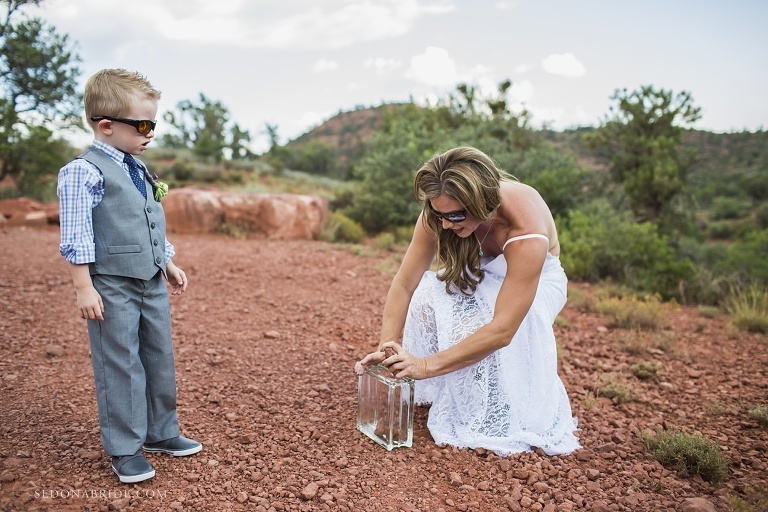 The Knoll is easily accessed, which makes it crowded on weekends, so be sure to plan for a weekday Sedona elopement or engagement session if you plan on going there. When the lighting conditions are good we like to drop by the Knoll while on the way to Red Rock Crossing so we can get the sweeping views of the valley from there before getting more intimate red rock views from the creek below. There was a very sweet ring exchange with the bride’s son who was very very excited for receive his ring as well. It’s difficult to find little rings for kids and they were finally successful with a great find on Etsy … they were even able to engrave the ring with his name. ñThe flowers were put together by a friend and they were joined by two friends that cheered them on and also signed their marriage license as witnesses. Sometimes we get to sign marriage licenses when there are not great friends joining for the ceremony. If you are truly having an elopement with no guests we are happy to sign the license and your officiant can also help provide an additional witness. 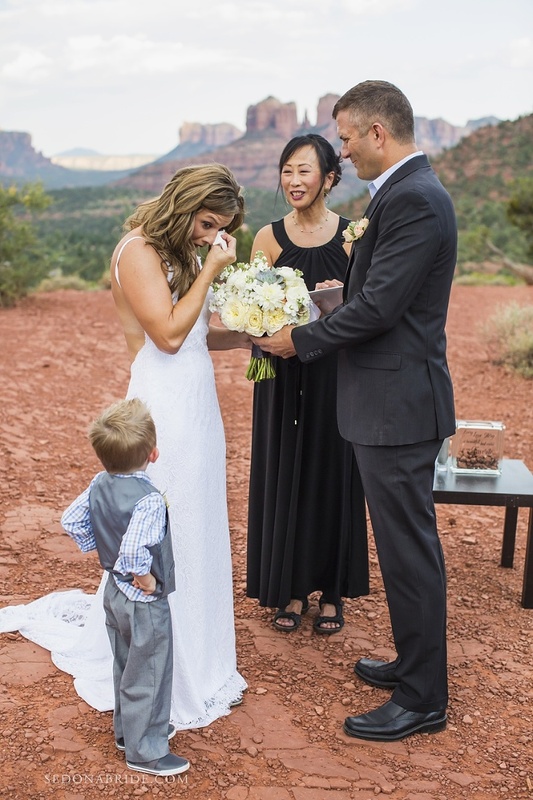 Drop by our venues page on our website to get ideas on other great locations to plan your Sedona elopement or wedding.